Cowhide Leather(exterior) + Microfiber Leather(interior). Compact yet small enough to put into your coat pocket. 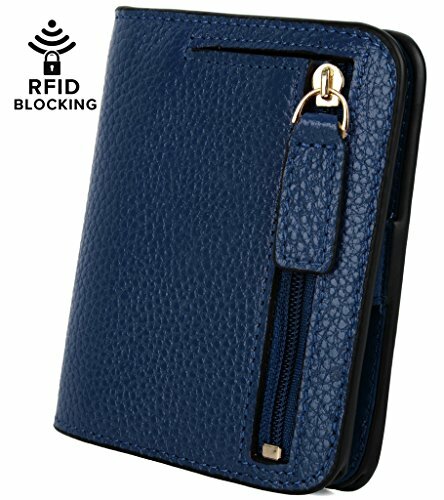 6 card holder; 1 photo slot; 1 coin pocket; 1 bill section. It stays closed and flat when stuffed. Clear layout and bifold design is designed for easy access to cash and credit cards you need. Come in a cute Gift Box and ready to be gift for someone who likes compact small wallets. Dimensions: 3.54" L x 4.13"H x 0.59" W. This is a mini size little wallet.